An interview with Michelle Gal, PEng, which explores the factors researchers must consider when choosing a suitable fluorescence illumination system for specific life sciences applications, conducted at SfN 2018 by Alina Shrourou, BSc. Please define what is meant by the term “fluorescence excitation”. Fluorescence is when a material takes the wavelength of light of one color and converts it into another color. For instance, it will absorb UV light, and then emit blue light. How can fluorescence microscopy enhance neuroscience research? In any type of life science research, you work with cells. Cells, which are the building blocks of everything, are components of water, protein, fat, and salt. A big issue when trying to visualize cells is that they are transparent. If you want to see them or anything inside them, you must have some way of creating contrast. 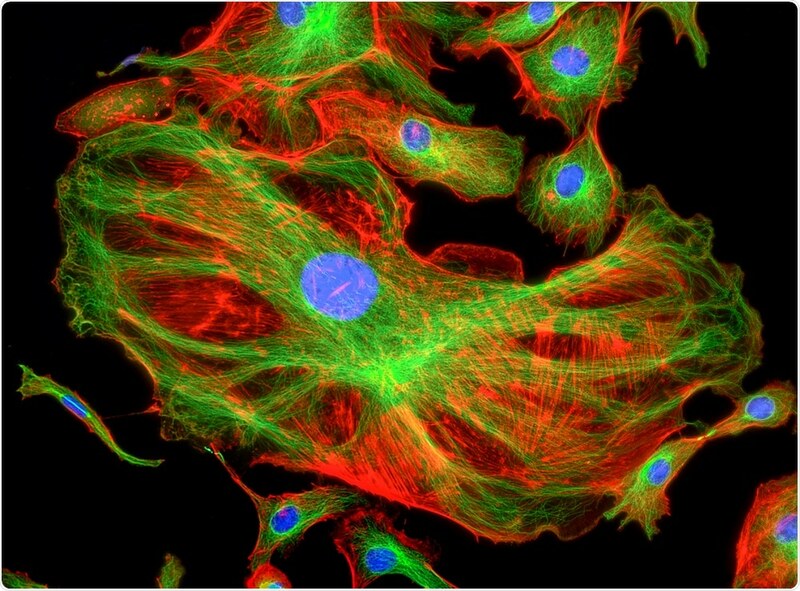 Fluorescence microscopy is one way of creating contrast in a biological system, to be able to visualize the cells themselves or the individual components inside the cell. With regards to neuroscience, you may want to know what a neuron looks like. How are neurons organized within the brain tissue? What happens when they grow? How do they grow? How do they get damaged? Can they be repaired? What do they look like in diseased tissue versus non-diseased tissue? By staining the neurons and exciting them with fluorescence, you can see all of these things to gain insight on how they are organized and how they relate to each other. For diseases like Alzheimer's or Parkinson's, there are certain proteins associated with these conditions that can be tagged with fluorescent probes. The fluorescence signals enable you to tell the difference between diseased tissue and non-diseased tissue, identify different stages of the disease, and characterize how proteins accumulate in certain areas of the brain. What features should researchers look for in fluorescence illumination solutions to identify the correct one for their applications? The first thing you need to know is which wavelengths of light are needed. Fluorescence is all about the wavelengths and how much power you need to get a signal. Researchers need to look at the absorption characteristics of the fluorescence probes they want to use in their experiment, identify the wavelengths of light required and compare that to the spectral output of potential light sources. A light source can be a significant financial investment, so generally speaking, to keep options open for future experiments, people are looking for light sources with the broadest spectral ranges and highest intensities. What do customers need to keep in mind when using Fluorescence Illumination systems? The wavelength is one thing, but beyond that, once you know you have enough power at the right wavelengths to get your probes to fluoresce, you need to consider how you plan to control the light. Are you manually turning on the light and doing your imaging or are you doing a time-lapse experiment over multiple hours or days? Do you need a computer to be able to turn the light source on and off? Do you need to be able to switch the colors on and off individually or are you relying on filter sets in your microscope? Excelitas Technologies® will look at each of these aspects and make recommendations to customers on the best type of light source to consider. How does Excelitas Technologies customize photonic solutions to their customer’s research needs? The Excelitas’ X-Cite® product series has always focussed on making things easier and more convenient for the researcher. Fifteen years ago, researchers were used to changing lamps every 200 hours of use and doing finicky alignments. When we launched our X-Cite 120 arc lamp with longer life lamps that were easy to install and easy to set up, things became easier and more convenient for the researcher. Now that we're bringing in LED sources, we are completely eliminating the nuisance of having to change bulbs, thereby presenting customers with the ultimate low maintenance system. It's all about letting researchers focus on what's important. By coming to events like the Neuroscience Meeting, we are able to talk to individual researchers doing cutting-edge research and learn about the features that they are looking for, why they need them and their importance. We are able to take this information back to our development team and incorporate it into our next generation of light sources. Please give an overview of the X-Cite fluorescence illumination products that Excelitas Technologies presented at Neuroscience 2018. At Neuroscience, we launched our X-Cite XYLIS, an LED light source that has the spectral range and intensities of a mercury arc lamp. In the past, when researchers considered switching from a mercury source to an LED source they may not have always had the wavelengths or the power that they needed; the breakthrough that we have made with the XYLIS eliminates this concern. If you can image it with mercury, you can do it with the XYLIS. It doesn’t get any simpler than that.